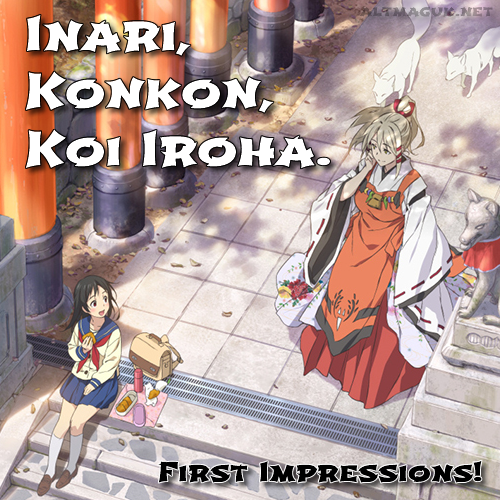 Disclaimer: This First Impressions article contains spoilers of the first episode of Inari, Konkon, Koi Iroha. Also, credit goes to Little Cloud Curiosity for the screencaps. So after nearly a year of not really having any brand new exciting anime series to be interested in (with the exception of Little Busters! 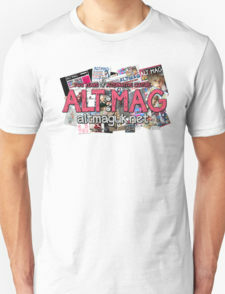 : Refrain) I have found one that genuinely piqued my interest. 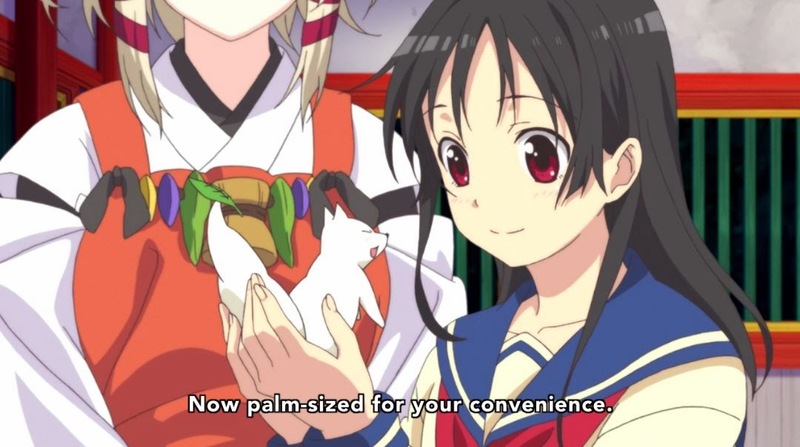 It is called Inari, Konkon, Koi Iroha. (I have no idea what that means) and the first episode came out on the 15th of January in Japan. I remember reading the synopsis and thinking that it sounded like something I'd enjoy, and after seeing the first episode, I wasn't disappointed. So what is it about? The anime revolves around Inari Fushimi, a ditzy middle school girl who has a hopeless crush on her classmate Kouji Tanabashi. One day during a P.E. 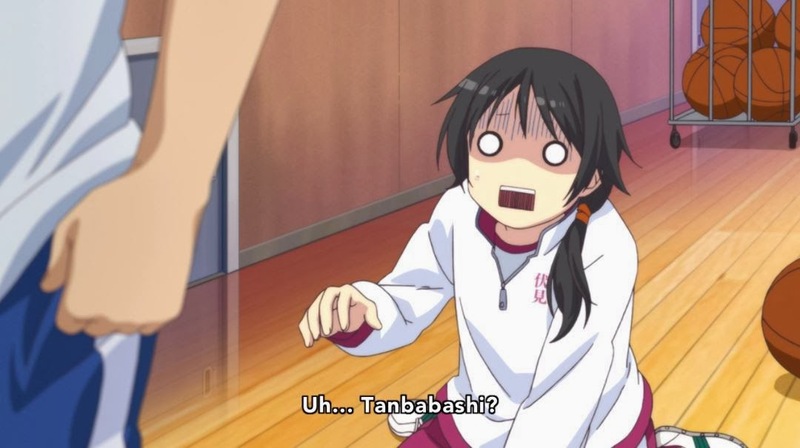 lesson, Inari's clumsiness causes her to humiliate Kouji in front of the whole class. Kouji then proceeds to ignore her and during her efforts to apologise, she finds out that Kouji might in fact have a crush on a popular girl named Akemi Sumizome. 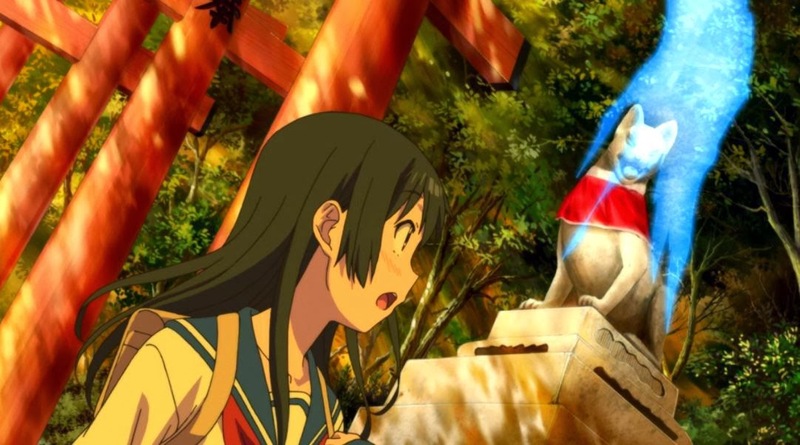 Later that day, Inari is summoned by Uka-no-Mitama-no-kami, a pale fox goddess. In return for rescuing a little fox-spirit creature before school that day, the goddess offers to grant a single wish of Inari's. 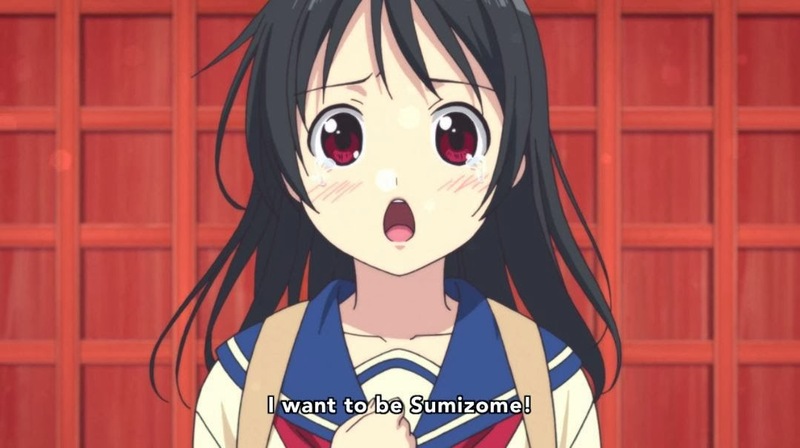 Without thinking, she blurts out that she wants to be Sumizome. Realising that simply being Sumizome can't cure her shyness, the goddess breaks a goddess-rule to give Inari the ability to change herself back. Now, Inari can change her own shape at will! 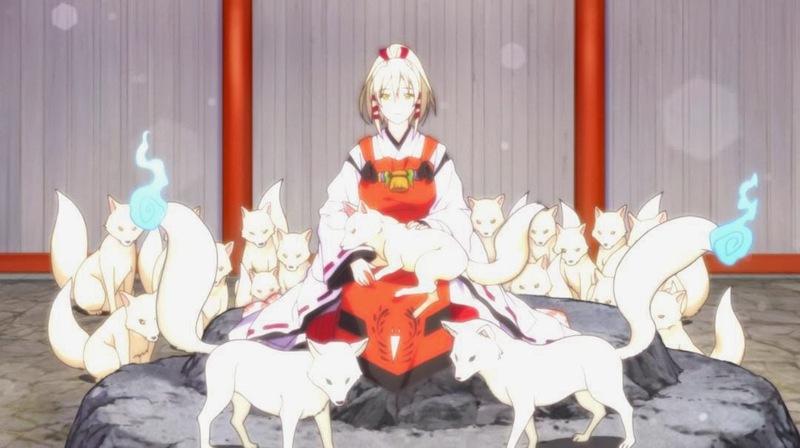 I thought the character of Inari was very loveable indeed, she was definitely a cute character. She had slightly more depth to her than your typical 'clumsy' character in anime, you see her feelings and weaknesses from the get go and she is not just a character created for the purpose of comic relief. I really liked the way she interacted with Kouji, with her brain wanting to say one thing but her voice saying something else. Definitely makes a nice change from the norm. The other characters didn't stand out much really, as it was Inari who took the spotlight in the first episode, but they aided the telling of the story, so it's all cool. Aesthetically, the anime looked really nice, unfortunately it was let down by the shoddy video quality of the site I was watching it on, but I bet it'd look gorgeous in HD, I hope they bring it to Crunchyroll so I can watch it on my mate's Apple TV. The music didn't stand out as such, but it definitely matched the various emotions of the anime, with a chirpy theme playing during Inari's cuter moments (it sounded suspiciously like another theme song that I can't remember for the life of me) and more emotional string sections being played during her sadder moments. Interestingly, the anime only seems to have ten episodes. I hope the reason for this is not that the production company were skimping out on the budget for this anime, but actually that the studio felt that ten episodes was enough for the anime to be at its best. Hopefully that means no filler episodes (anyone up for the beach?) but at the same time, I hope it doesn't mean a rushed ending or something similar. Anyhow, I really liked the first episode of this anime, it really left me with a smile, and I am expecting the same level of quality from upcoming episodes. I am really intrigued how Inari will use her new shape-shifting powers and whether or not this will give her the strength to finally talk to her crush Kouji! That'd be awesome, you can do it Inari!